We are one of the main Suppliers, Dealers, and Stockist of Rubber Hose, which is used in blasting machines for passing compressed air. 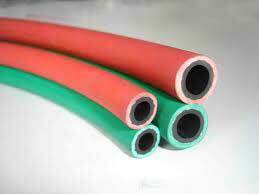 We offer exceptional quality Rubber Hose which is great in strength and durability. It is manufactured using the finest grade of rubber.